Our range of products include pvc compounding twin extruder. 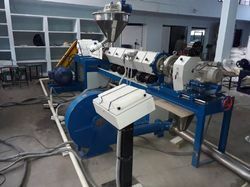 We are the manufacturer of PVC Compounding Twin Extruder¿¿suitable for wire and cable making. Looking for PVC COMPOUNDING EXTRUDER ?